GER_21_xs.Dresden, East Germany. 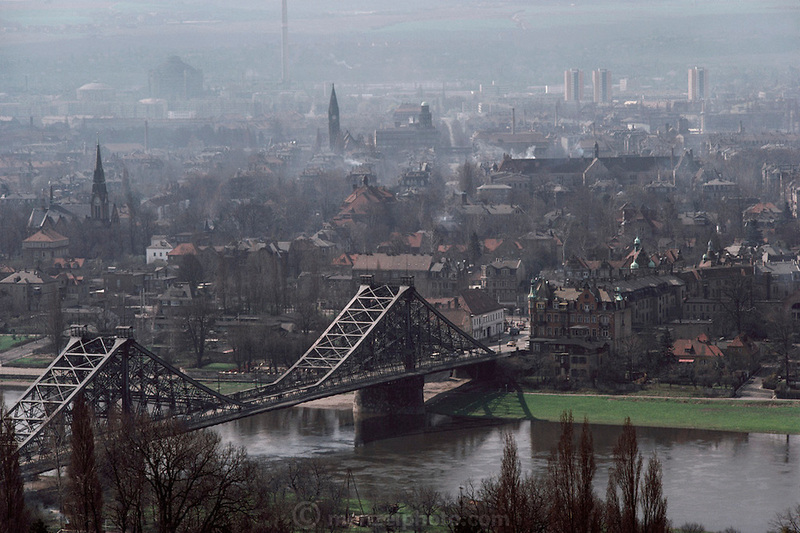 View of the Elbe River bridge with smoky city. 1983..